S.A.F.E. 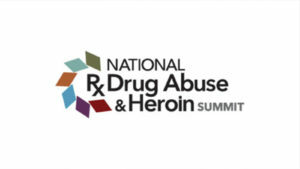 Project US participated in the second day of the 2018 National Prescription Drug Abuse & Heroin Summit in Atlanta, Georgia, informing our national work combating the opioid crisis. There are more than 200 experts presenting to an audience of the nation’s top researchers, advocates, policy-makers, healthcare professionals and law enforcement personnel. The Rx Summit continues through Thursday. Over and over, presenters and attendees expressed frustration with the lack of progress on combating the opioid crisis, while recognizing the good work continuing in communities across the country. The new wave of synthetic opioids and toxic additives, combined with the stigma associated with addiction and opioid use disorder, have created an unfortunate feedback loop leading to the scope of the crisis we have today. S.A.F.E. Project US is leading efforts to combat the crisis nationally across its six lines of operation. Tuesday’s program started with a bipartisan group of U.S. Senators and House members discussing ongoing federal efforts to combat the nation’s public health emergency on opioids, as well as their vision for future life-saving efforts. Also participating in the discussion were: U.S. Representative Earl “Buddy” Carter (R-Georgia, 1st District), and U.S. Representative Katherine Clark (D-Massachusetts, 5th District). The breakout sessions that filled the rest of the day included strategies for engaging with state policymakers to end the opioid crisis; a how-to guide in building an effective medication-assisted treatment (MAT) program for pregnant women, including combating the stigma around mothers seeking help for their opioid use disorder in pregnancy; innovative strategies in how to identify intervention opportunities prior to a heroin overdose.